Here we see Twain on a somewhat personal level. 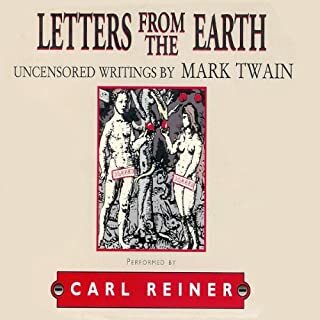 Penniless and having just lost his wife and one of his children, Twain turns to writing about God, Christianity, and the many curious natures of man. This collection was so controversial that his daughter prohibited its publication until 52 years after his death. Without a doubt, the historical aspect is absolutely lost on me without being able to better reference the names by looking at them. That being said it is so easy to lose yourself as a passenger in the hangover of audiobook life and listen to the swashbuckling half-lives, as it were, toward the end. Mean to better reference the names by way of Wikipedia or some such internet, but holding off listening to it a few more times to see if there isn't any interpretive static I can't lick off some futuristic headache in trying. Listening about the devil's free time can be like that. When Elspeth Noblin dies of cancer, she leaves her London apartment to her twin nieces, Julia and Valentina. These two American girls never met their English aunt; they only knew that their mother, too, was a twin, and Elspeth her sister. Julia and Valentina are semi-normal American teenagers - with seemingly little interest in college, finding jobs, or anything outside their cozy home in the suburbs of Chicago, and with an abnormally intense attachment to one another. 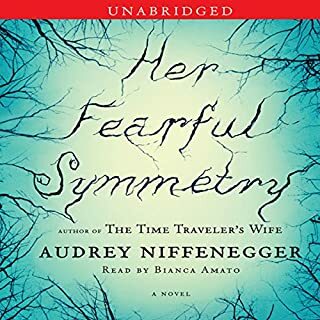 Where does Her Fearful Symmetry rank among all the audiobooks you’ve listened to so far? What other book might you compare Her Fearful Symmetry to and why?